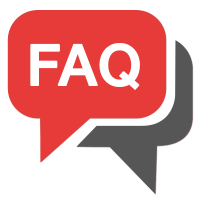 Q: How long does it take to install a fiberglass pool? A: Great Question. It depends on the size and depth of a pool. The larger the pool the longer it takes. We can install a small pool in 2 days whereas a large pool takes 4 days. Usually, after the pool is backfilled and the plumbing is done then the landscaping portion begins. From stonework to waterfalls, cabanas, and pergolas. We can complete your job from start to finish. Small jobs can be completed in 3 to 4 weeks, large jobs 5 to 7 weeks.